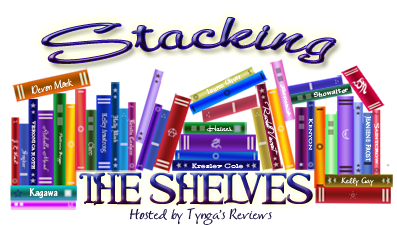 Stacking the Shelves is a weekly blog meme hosted by Tynga's Reviews that is all about showcasing books that have been added to your shelves, both physical and virtual. First of All, welcome to my SECOND Stacking the Shelves. As promised during the first, there are LOADS of books to show-off for last Tuesday (9/9) was my birthday- and, my friends, knowing what a book nerd I am, gifted me loads. *Book Courtesy of the author's publicist- Kelsey! 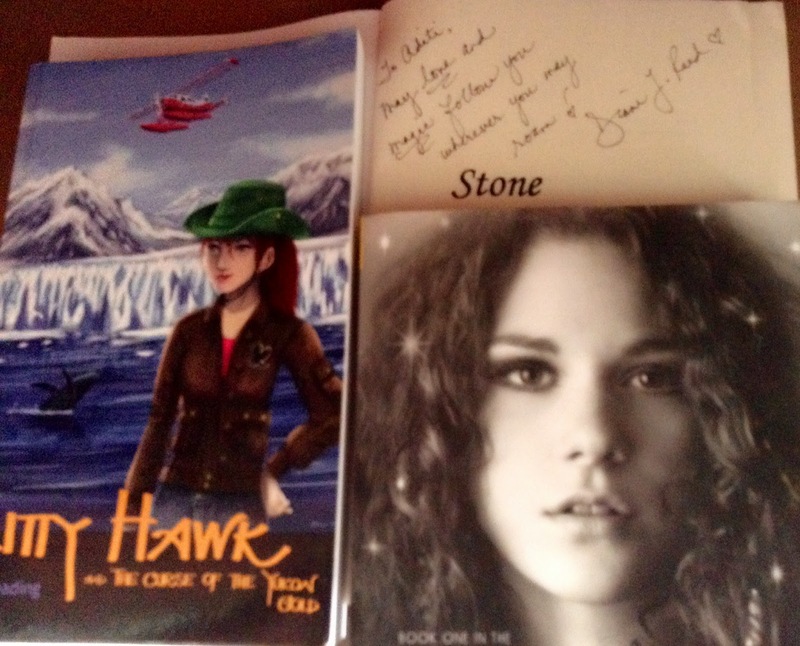 Come and check out OUaT's STS and don't forget to ENTER our BOXES OF BOOKS giveaway! Wow, that's a fantastic haul!! And I love your color coded bookshelves :P If I wasn't such a control freak about author last name, I would totally have mine done like that so instead I settle for drooling over others pictures! I need to read If I Stay, especially since the movie is out :/ I hope you enjoy all your books, Happy Reading and Happy Belated Birthday!!! I thought color would be brilliant- but now my books are all of different sizes and authors. Sigh. Haha! I can't tell you to do so definitely- this is my First Patrick Ness too! I've only heard all the brilliant things! Brilliant haul. I love the look of your birthday haul. Loads of amazing books. Thank you for stopping by, I'm now following you via bloglovin'. Thanks Nicole- I loved your haul too! Thanks for the visit back and the follow. My birthday is next month and I hope I get some cool books too! Enormous Haul! Happy Advanced Birthday, Kiran! I hope you get some brilliant books too. Your bookshelf is gorgeous! 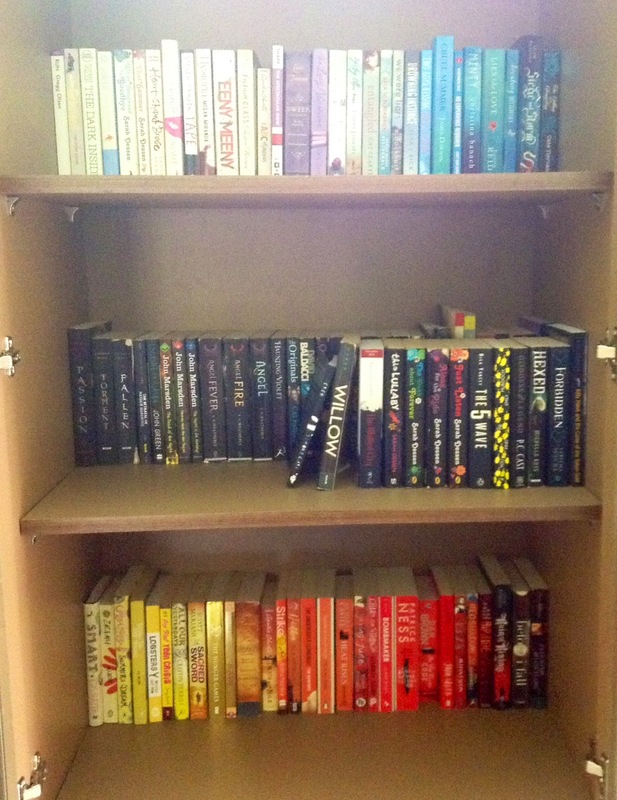 I love how you colour coded the books...I'm tooootally going to do that one day. Probably before Christmas. It'll be my summer project. lol OH! 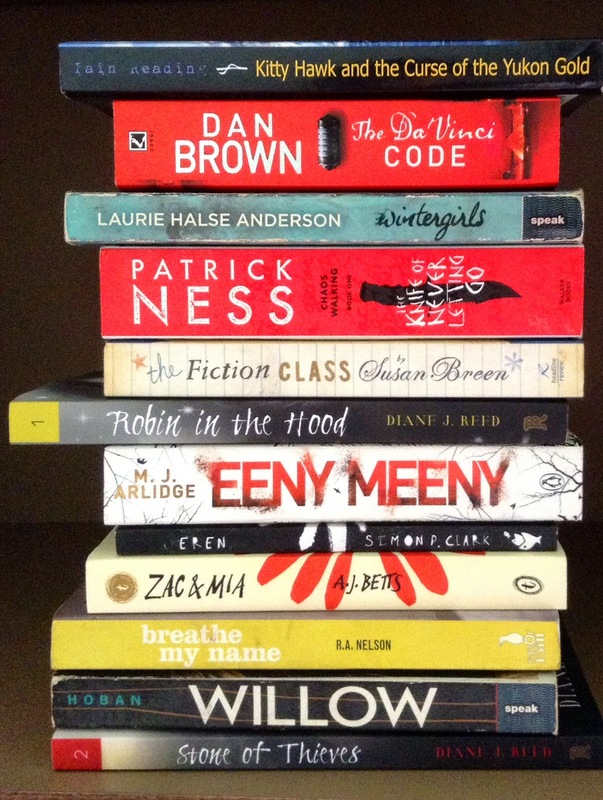 But you have Patrick Ness on your stack too! *hi fives* I absolutely love the 2 books of his I've read already so I'm super excited for The Knife. Happy birthday, too!! This is my first Patrick Ness- and I'm hoping it will be Brilliant! Great haul! I still have to read If I Stay. Sounds like everyone who reads it ends up loving it. Happy reading! So do I, heather. I actually watched the movie first. But I'm looking forward to it! Wow! what a great haul! Hope you enjoy all those books! Thanks for stopping by The reader lines! Wintergirls and If I Stay are such great reads, I hope you'll enjoy them too! Great birthday haul. 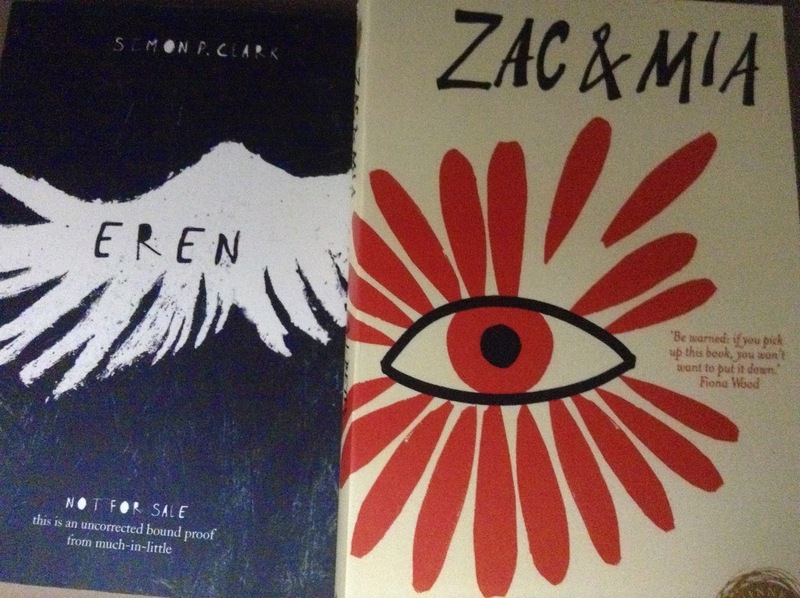 I'm excited to read Zac and Mia and need to get on If I Stay before the movie comes out on DVD. Great haul and happy reading! Belated happy birthday! I love the hauls you can get on birthdays/Christmas, heh. Patrick Ness is supposed to be amazing; I've had something of his on my list for yeaaars. Hope you enjoy!